You’ve heard of crazy cat ladies, right? Well, somewhere along the line last summer I turned into a crazy pepper lady. What started as a fairly feeble attempt to grow our own bell peppers and one tiny thai pepper plant the year before ballooned into growing 24 different kinds of peppers and something like 40 thai pepper seedlings (babies of the original plant, of course). 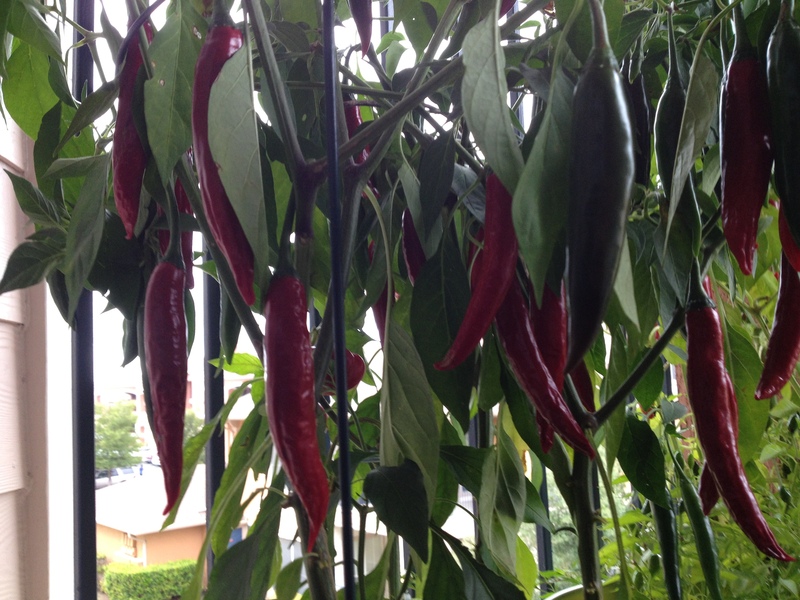 I got a little fascinated with finding all kinds of fun and sometimes exotic pepper plants. Our neighbors, who taught us to garden and were honest-to-goodness farmers, looked at me like I’d lost my damn mind. My husband kindly called me the Pepper Queen of Vermont instead of Crazy Pepper Lady. Anyways, in September it came time to move to Texas. Knowing that the growing season in Texas still had months to go and having become pretty attached to the pepper plants we had been growing for months, we decided to transplant our little farm along with the rest of our belongings. Our whole garden was planted in containers and some of our peppers that had been growing from seed since April hadn’t even produced any peppers yet, so we wanted to keep them going. Once we successfully transported the garden to Texas, we did some reading and found out we could potentially keep some of our stronger plants over the winter as long as we protected them from freezing temperatures. We kept the plants warm and kept watering them for months, not really knowing if they were alive or not until very recently it just became Spring! 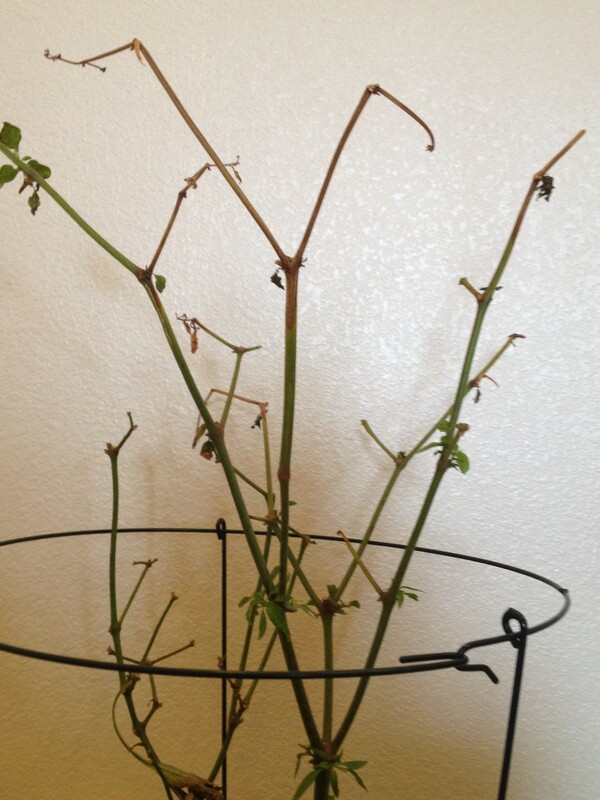 While we lost some of our little plants, some of the healthier ones are starting to sprout new leaves and look great. 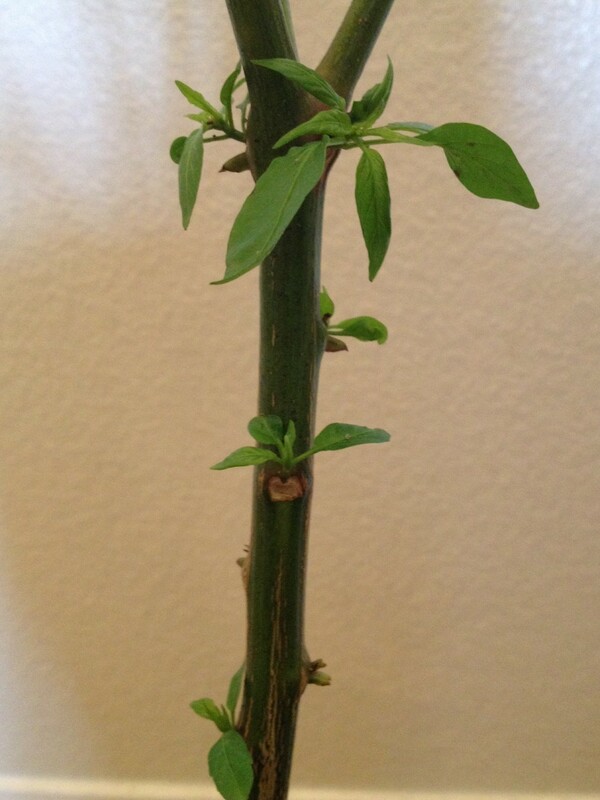 Here’s how one of our favorite peppers plants, our cayenne, is coming along after making it through the winter. We’ve since learned that it would have been better to prune it down pretty aggressively before wintering it over, so it’s gotten pretty brown at the tips and those will all be cut down. Our giant poblano plant; however, looks great and hasn’t browned at all even though we left it nice and tall. 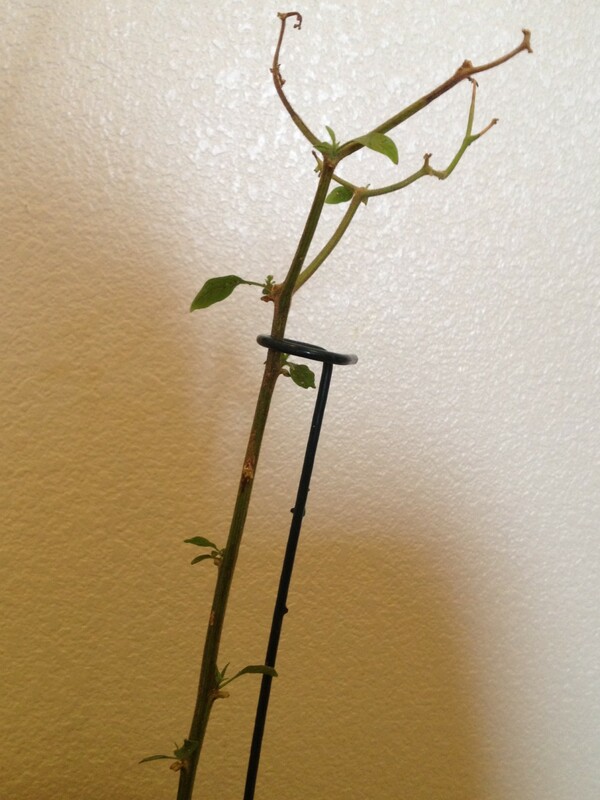 Other plants, like this banana pepper plant, that were stringy little sticks and we thought were probably goners have even started sprouting fresh new leaves. One of the reasons I started this blog was to share our gardening experiences as we are learning and to prevent myself from boring everyone’s ears off talking about the garden all the time. I’m definitely not an expert and original name ideas for the blog were things like “Fumbling Through the Garden,” so this is less advice and more how it worked for us so far. Basically all we did to keep these going was to keep them out of the freezing temperatures, keep them watered, and try to keep them as close to windows as we could so that they could get some sun. We lost a bunch of plants but we didn’t find any particular pattern as so what survived or not, although there’s some chance we were playing favorites and paying closer attention to the plants we loved the most (don’t tell those crappy little Islander peppers). Some of these guys, like our awesome cayenne peppers, were such great producers of such pretty peppers that we’re trying to get them back to this point without having to start all over again from seeds or seedlings.